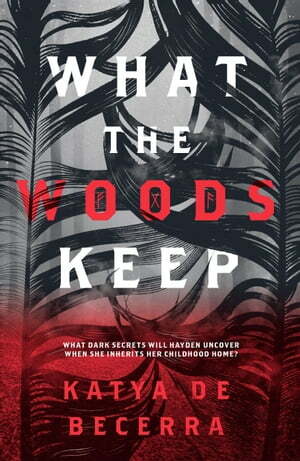 Collins Booksellers - What the Woods Keep by Katya de Becerra, 9781760637637. Buy this book online. On her eighteenth birthday, Hayden inherits her childhood home - on the condition that she uncover its dark secrets. Hayden has tried to put the past behind her, and so far it's worked. She's getting ready for college, living in a Brooklyn apartment, and hanging out with her best friend and flatmate, Del. But now it's all catching up with her: her mother's mysterious disappearance a decade ago, her father's outlandish theories about a lost supernatural race, and Hayden's own dark dreams of strange symbols and rituals in the Colorado woods where she grew up. As soon as Hayden arrives at her hometown, Del in tow, it begins: neighbours whisper secrets about Hayden's mother; the boy next door is now all grown-up in a very distracting way; and Hayden feels the trees calling to her. And among them, deep in the woods, Hayden will discover something incredible - something that threatens reality itself.